You might already know this little fun fact about me but my boyfriend is a reindeer owner, so let's just say I've met quite a few reindeer over the course of our relationship. With his reindeer living in the mountains of Norway, however, I rarely ever get the chance to pet them - which is a shame if you consider their fluffy noses and cute eyes! On our last day in Ruka-Kuusamo - one of the snowiest regions of Finland and an absolute winter wonderland come true - we made our way to Palosaari Reindeer and Fishing Farm, which is situated only 10 minutes from Kuusamo and the airport by car. We then were introduced to "Big Boy" and his friend "Milk Face" - two male reindeer trained in reindeer sledding. Now, I'm a bit biased against reindeer sledding with my partner's reindeer minding their own business in the mountains of Norway and all, so I didn't end up going on the sled ride but happily fed Big Boy some reindeer candy (aka moss). Note: I completely understand if you'd like to go on a reindeer sledding adventure, so read this detailed post on what to look out for when booking animal tourism activities in the Arctic! 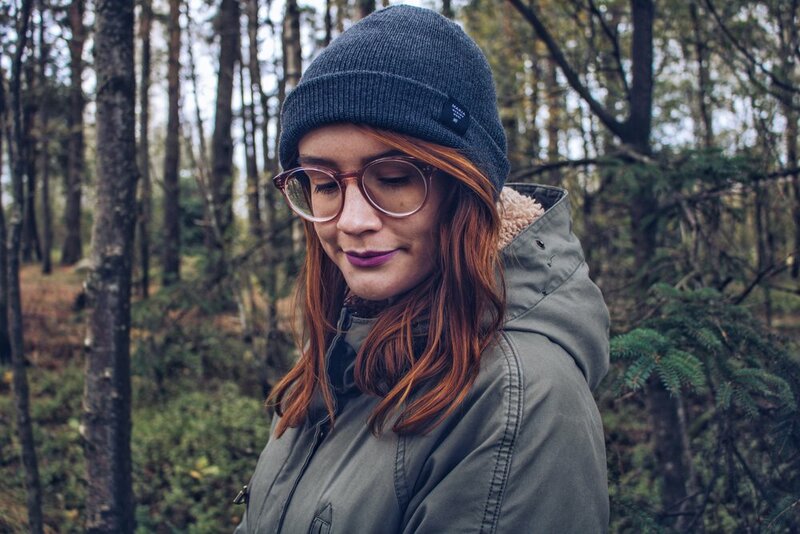 Shout-out to Megan for taking these amazing shots of me! Reindeer sleds have actually been used for hundreds of years as they helped the Sami people of the Arctic to travel around in winter, for instance in order to sell fur and reindeer meat in towns and trading posts all over Lapland and Northern Norway. Not all reindeer can be trained to pull the sled, though. As Satu explained to us, some reindeer refuse to do it while others are on board immediately, meaning that they don't force any animal. We then went on to meet and feed the baby reindeer in an enclosure. Tweet it: Would you like to pet a reindeer one day? 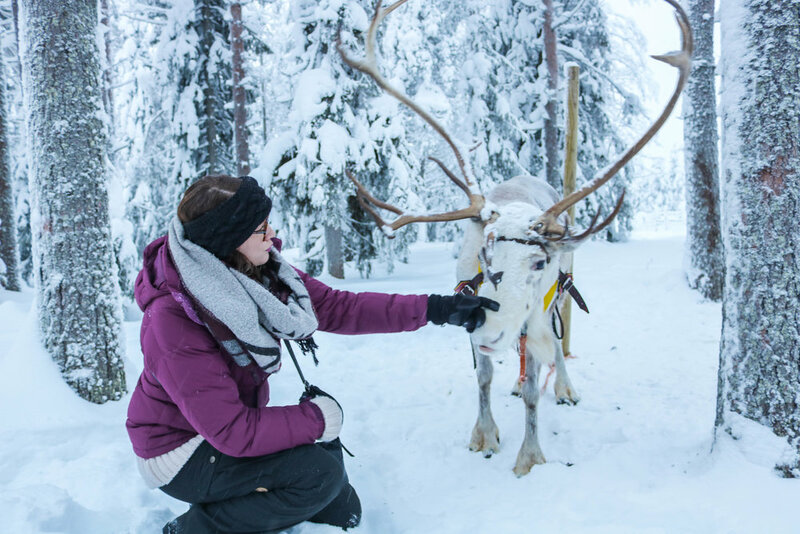 @snowintromso takes you on a virtual trip to a reindeer farm in Finnish Lapland! The reindeer of the Palosaari family ususally live in the forests of Ruka-Kuusamo but are gathered in early December each year in order to keep stock (they are being kept for their meat after all) and to mark the newborn calves. In winter it's more difficult for the reindeer to find food in the wild because of the deep snow, so some reindeer are actually so clever as to make their way back to the farm on their own, as they know that this is where they'll be fed. The family still has a tough job in gathering the whole herd, though - a task that begins in early December and usually ends by late January. Some of the animals sadly have to be kept in the enclosure year-round as they wouldn't survive in the wild. This fella for instance, is blind in one eye which would make him extremely vulnerable to predators, such as bears, wolves, lynx, eagles, and wolverines. Apart from predators, deforestation actually is another threat to the reindeer of Finnish Lapland. With moss - their main source of sustenance - only growing above the snow on spruce trees in older forests - which are the ones being chopped down and replaced with pine trees where moss isn't that easily available for reindeer - their food options become more and more limited each year. That is also why there are only about 1000 wild forest reindeer left in Finland (mainly in the central parts of the country). All other reindeer are semi-domesticated, as they have an owner but live in the wild for the majority of the year. The Palosaari farm just outside of Kuusamo was built by Satu's grandfather Jalmari Palosaari, back in 1920. He started out with a log cabin that nowadays functions as the farm's souvenir shop where you can buy reindeer fur and antlers. The farm today is, of course, much bigger but the family tried to keep the old charm alive. After feeding the reindeer in the cold for about an hour, we went to visit the Kammi - a wooden hut, traditionally made of turf, by the Sami people. There we warmed up at the fire and enjoyed a delicious lunch of reindeer soup and Finnish bread. If we had visited the farm in summer, we would have probably eaten fish. As the name suggests, you can also book fishing excursions at the farm, for example to learn fly-fishing, search for grayling or catch trout. At the Kammi, Satu told us more about the history of the Sami people and reindeer herding in Finland, and personally, I found it really interesting to compare my experiences of the Sami culture and reindeer husbandry in Norway with the culture in Finland. Did you know for instance, that in Finland, anyone has the right to own a reindeer? In Northern Norway, only the Sami people have this right. If you're thinking about moving to Finland and keeping a reindeer as a pet now, though - please don't. I know it's tempting but just don't... lol! It requires a lot of local knowledge in order to truly understand the reindeer and their needs. Likewise, the reindeer aren't just slaughtered for their meat but also to create a balance in the eco-system. If there are too many reindeer in an area, it can quickly lead to overgrazing, which is something the Finnmark area of Northern Norway had issues with in the past. The reindeer also don't have an understanding for roads or towns and simply follow their instict when they roam around - sometimes ending up in people's gardens or farming fields to nibble on flowers and hay. Reindeer herding isn't an easy task and following the reindeers' every move an even harder one - that definitely seems to go for all herders in the Arctic alike. Reindeer farms are quite widespread in Finnish Lapland, in contrast to Northern Norway where reindeer encounters seem to almost exclusively be offered in Tromsø and Alta only. We visited the Palosaari farm near Kuusamo and despite my hesitation towards reindeer-sledding in general, I can honestly say that the animals seem to be taken care of with lots of love on the farm. 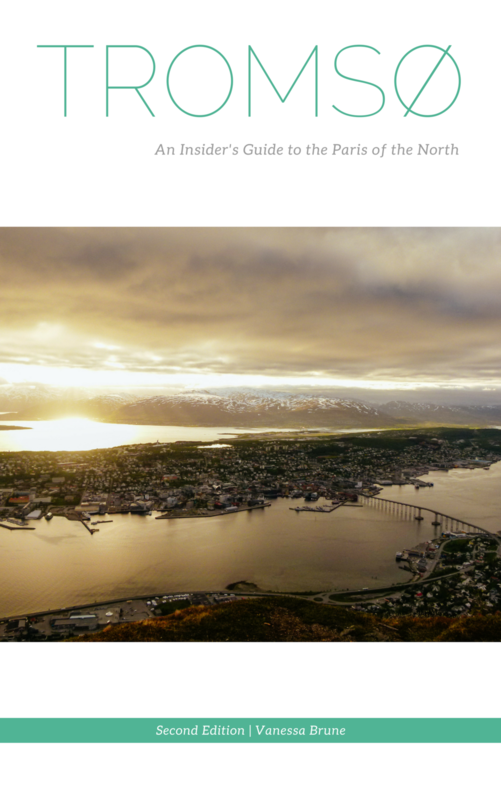 Whether you're in the area in summer or winter, visiting and feeding the reindeer, and learning more about reindeer herding and the Sami culture, is an experience you won't forget! Find more information about Palosaari Reindeer and Fishing Farm here or follow their Facebook page here . CAN'T GET ENOUGH OF fluffy reindeer snouts? Then Watch my video from the visit here! Would you like to go reindeer-sledding or would you be happy to just pet them as well?